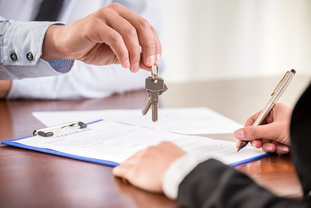 ​Although the title company gets involved in the later stages of the real estate transaction, it's the skill and the experience of the company that can help overcome many last minute hurdles. 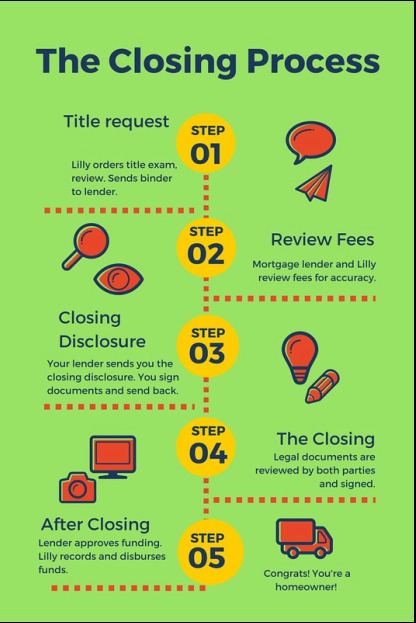 Here at Lilly, it's that property title search experience that has many times made the difference between a successful and timely closing​ versus costly delays or cancellation of the real estate transaction or loan agreement. Whether you are the buyer or the seller, you will need a settlement agent to handle the transaction. Lilly Title & Settlement can provide that for you with prompt, professional and flexible service. We use the latest technology to prepare your title insurance, closing documents and to facilitate an seamless and effortless transaction. With residential, commercial, improved or unimproved property, we have the skill and experience to handle your real estate transaction with ease! Preparations for closing started as soon as the contract was agreed up and signed by both parties. It's also the time both buyer and seller should choose your title company and to start communicating with them. Nobody wants any last minute surprises! The actual closing on your new home usually takes about an hour--and it's a very full hour! The central focus for all parties is the HUD 1 statement. This document translates the terms of your sale and mortgage commitment into numbers. Think of it as an accounting balance sheet between the buyer and the seller. Because settlement statements occur so soon after loan approval, estimates of actual closing costs and final settlement sheets are rarely available to preview prior to closing. The good news is you should be able to get a fairly accurate estimate of closing costs from your lender and real estate agent. You will then need to wire funds to Lilly Title & Settlement. For any additional funds that are due, most settlement agents, including Lilly, will accept a personal check. The settlement agent can also issue you a refund check, if it's warranted. Numerous legal documents are explained and signed, while funds are received and disbursed. Last minute questions regarding the condition of the property and the operation of its systems are answered. Keys to the property are also transferred to the new owner. Your mortgage lender and Lilly Title will review fees to make sure they are accurate. Then your mortgage lender will send you a Closing Disclosure 3 days prior to closing to review, sign, and send back to them. Once you have signed all the documents, your lender will then send us the entire closing package. We meet with you and go over the closing package together. At closing, all legal documents are reviewed by both parties and signed. After closing, we send signed documents to your lender for funding approval. Once that is received, we record at the court and then disburse proceeds and funds. Now you officially own your new house! Down the road, if your property title is ever challenged, the title insurer assumes accountability for legal expenses to defend your property title. Additionally, the title insurer takes on the legal expense of defending your property for as long as you own it. If the defense is unsuccessful, rest assured that you will be reimbursed for any lost value on your home.